Melvin Poi explains why thinking green might just put your company leaps and bounds ahead of the competition. Advocating green initiatives is no longer the exclusive burden of environmentalists. Global awareness of our ravaged environment and the fragility of the planet has never been more acute. With tightening regulations and increasing environmental awareness, government and private contracts are increasingly placing requirements that its suppliers’ products be eco-friendly. Every day more and more consumers are basing their purchasing decisions on the environmental impact of the product. A product impacts the environment at every stage of its life - from material production, manufacturing and product use right up to its end-of-life disposal. And just how do legislators evaluate the ‘greenness’ of a proposal or product? The answer is in its carbon footprint. Measured in carbon dioxide equivalent (CO2e), carbon footprint is defined as the total greenhouse gases emitted as a result of the manufacture of a product or of any industrial activity. Every stage of design and manufacturing is taken into account. It goes without saying then that engineers, architects and manufacturing designers have a direct input in determining the carbon footprint of their product or building. Hence the impetus is on these professionals to practice Sustainable Design. 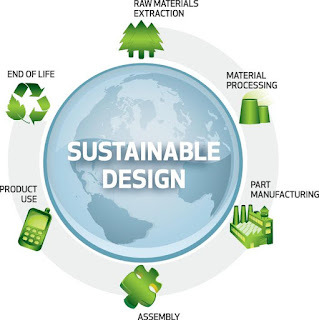 Sustainable Design is something that we here at IME Technology take very seriously indeed. Being at the forefront of providing engineering design solutions to the manufacturing industry, we have an obligation to promote low-environment impact design and production to our customers. By doing so we will preserve the environment as well as ensuring our customers’ future competitiveness in their industry. Having them partner with SolidWorks with its built-in Sustainability solution makes it easy for us to do just that. 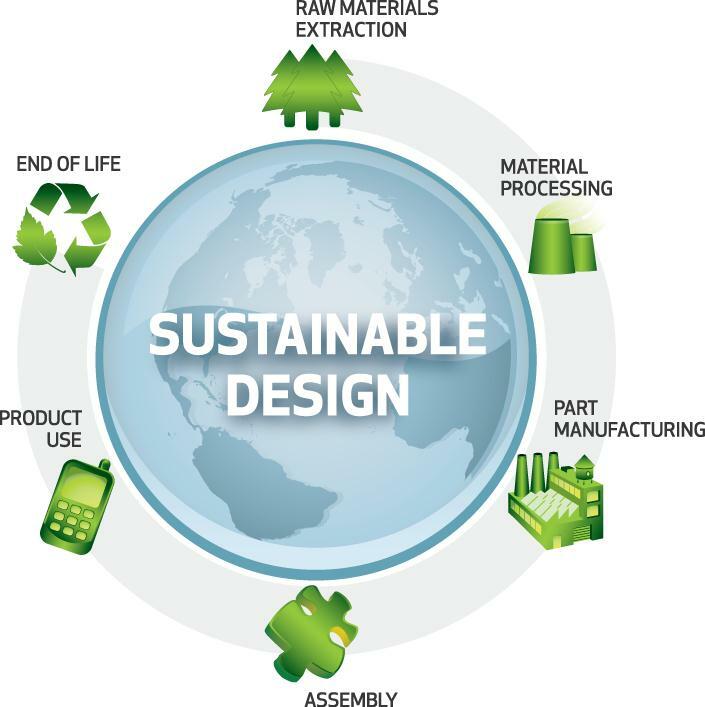 Sustainable Design focuses on the three key concepts of Material Optimization, Material Selection and Energy Efficiency. Material Optimization refers to using the optimal amount of material in the manufacture of a product so as to reduce waste. This is because improperly managed waste has ecological and human health consequences. The powerful simulation and analysis tools in SolidWorks enable one to prevent from over-engineering the product and help conserve resources. Material Selection is increasingly becoming a very important consideration. Using recycled or low-environmental impact material can help manufacturers stay ahead of regulations and boost consumer demand for their products. 3D digital drawings allow for comprehensive experimentation in a virtual environment to choose from a variety of materials that meet weight, tensile and regulatory specifications. SolidWorks Sustainable Design helps optimize energy usage through efficient product design. This can start from circuitry design to industrial machinery and plant layouts. Even the size and weight of a mechanical part has energy consequences. It is only a matter of time before every government agency, company and individual examines your carbon footprint as a mandatory part of its purchasing considerations. If you’re still persisting with antiquated design practices, if you’re still employing 2D CAD or manual drawings, then you’re going to be stuck up a creek without a paddle. Start thinking green - apart from saving our precious planet, you could well put your company ahead of the competitive curve. Melvin Poi (melvinpoi@cadcam.com.my) is the Head of Business and Planning for the IME Group of Companies, the country’s largest and most established solution provider of CAD/CAM/CAE, portable CMM Inspection, non-contact scanning for reverse engineering, design analysis and simulations, rapid prototyping.